Next-generation imaging: The Ditto® DX Forensic FieldStation is the latest addition to the Ditto Forensic FieldStation family, with the same great usability features as the original Ditto device. 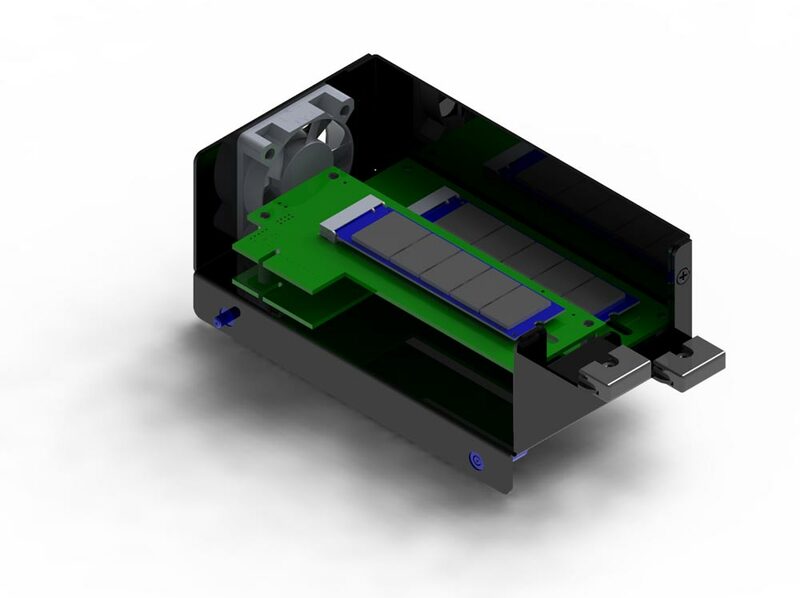 Time-saving Logical Imaging: With hard drives and networked file shares exploding in size, Logical Imaging is more important than ever. Ditto DX Logical Imaging performance is twice that of the Ditto device. And with automatic, pre-selected search and acquire capability, Ditto DX slashes the time it takes to capture needed evidence. Remote operation: An easy-to-use web browser interface supports remote operation via network or VPN, providing access to Ditto configuration, user administration and user rights, as well as direct operation of Ditto cloning and imaging operations. Ditto DX improves on Ditto with separate Ethernet and USB 2.0 ports so Ditto DX can be managed without impacting imaging performance. 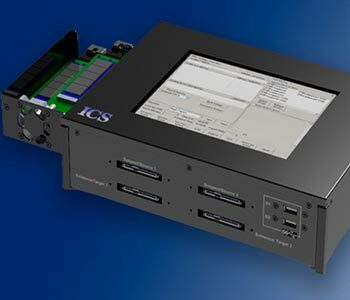 Create logical and physical images in the field: The built-in menu system makes it easy to configure and perform forensic captures without an attached computer. Optionally, attach a computer for additional options such as generating complete listings of drive or file system contents to facilitate discovery, or automatically capture specific file types. Suspect Inputs (write-blocked): Ditto natively supports many write-blocked inputs: SATA, eSATA, PATA, USB3.0/2.0. 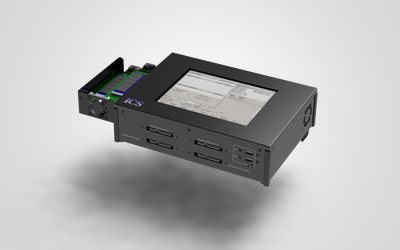 Additional acquisition interfaces are available via expansion modules, such as the Ditto SAS Expansion Module and Ditto FireWire Expansion Module. 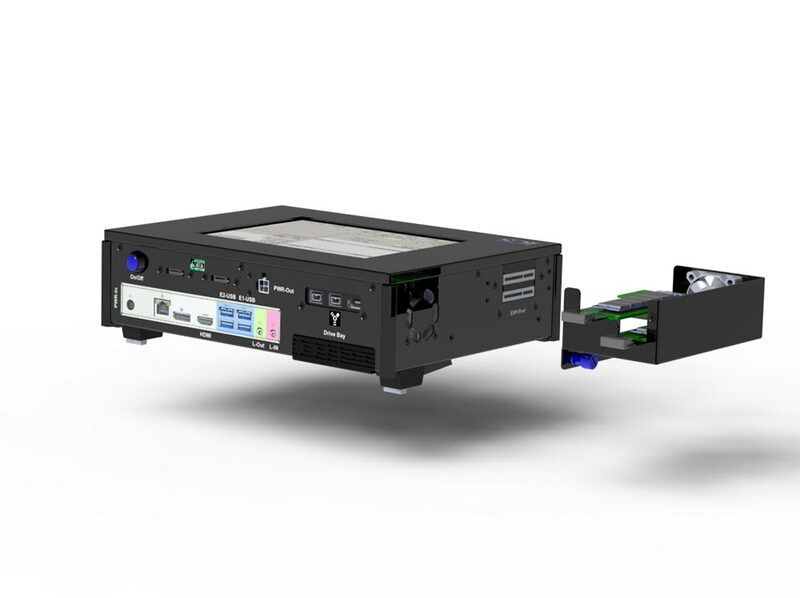 Destination Outputs: Use dual SATA outputs simultaneously with same performance as one eSATA (single, dual and mirrored). Images can also be output to large volumes, including NAS and other network destinations, as well as portable RAID enclosures. Data Acquisition Modes: Clone, DD, E01, L01 with MD5, SHA-1, or SHA-256 hashing. 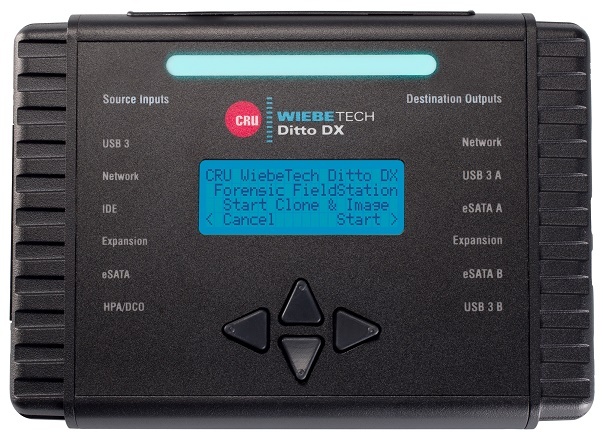 Ditto DX also offers a combined mode that captures a clone and DD or E01 (to different destination drives) in a single pass reading of the suspect drive. 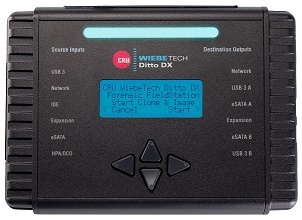 Complete and Secure Erasure: Ditto DX is capable of sanitizing drives with preset erase modes or a user configurable pattern. 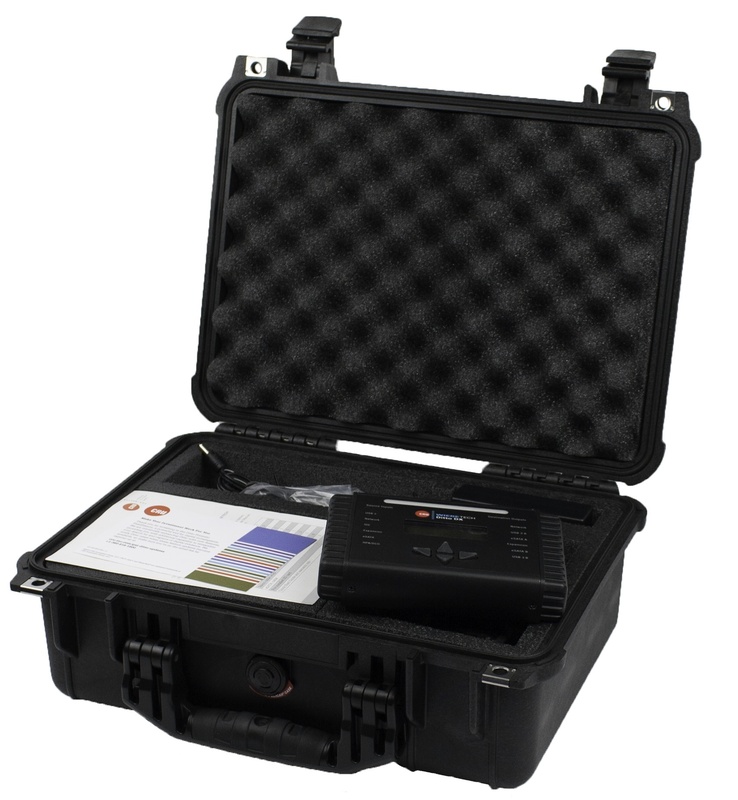 Water-resistant, dust-proof Pelican® custom carrying case available. Convenient, customized field kits are available for Ditto and accessories. 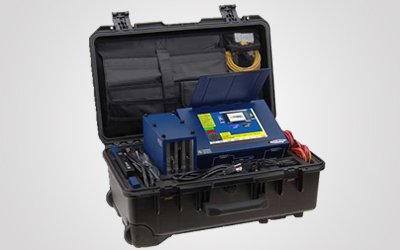 The Image MASSter Solo-4 Forensic Super Kit enhances the versatility of Image MASSter Solo-4 Forensic hard drive data acquisition unit that offers investigators the ability to capture simultaneously at SATA-2 speed from one "Suspect" hard drive to two "Evidence" hard drives. It can also capture from two separate "Suspect" hard drives to two individual "Evidence" hard drives. 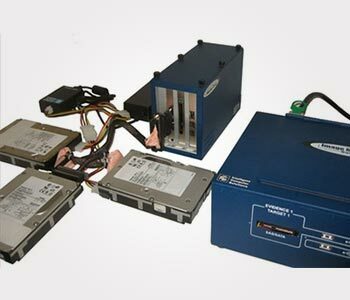 The Image MASSter Solo-4 Forensic hard drive data acquisition unit features built-in native support for SAS, SATA and USB 2.0 drives. It authenticates the drive copies with SHA-1, SHA-2 and MD5. 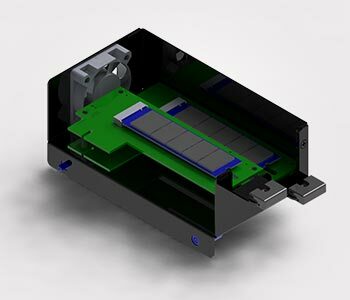 It also supports IDE, RAID, e-SATA drives as well as a variety of Micro Media flash drives. All "Evidence" drives can be encrypted "on-the-fly" during the acquisition process to protect sensitive data during transportation or storage. All "Evidence" images can be saved as 100% copies, Linux DD images or E01 image files. 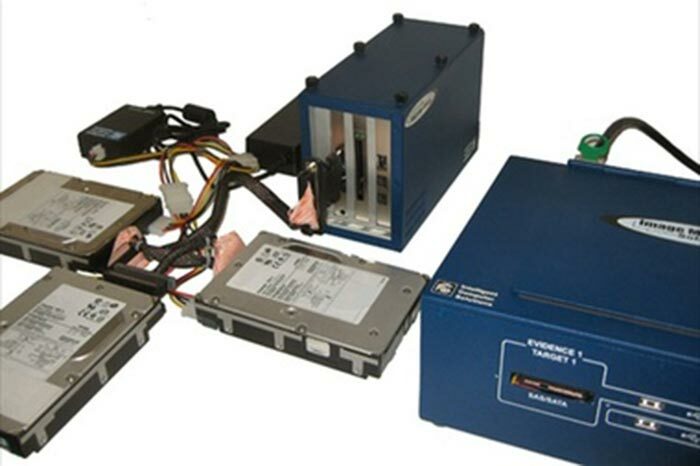 This forensic hard drive data acquisition unit also offers a built-in Gigabit Ethernet connection allowing users to upload images to Storage Area Networks (SAN) for the purpose of processing and archiving.The Image MASSter Solo-4 Forensic hard drive data acquisition Kit includes the Expansion Box that brings extra connectivity to the data acquisition unit including fast SCSI, FireWire 1394A/B. Also offers USB 3.0 and Fiber Channel supports with purchase of additional hardware. It also includes the LinkMASSter Option which allows a user to seize data from unopened Computers or Laptops. 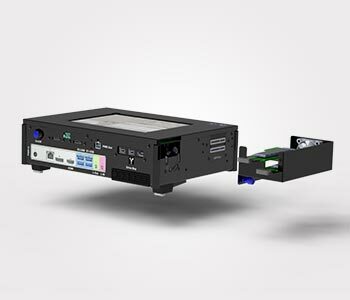 Extreme Speed Built for Today's and Tomorrow's Hard Drive Technology,designed to work with the fastest hard drives available, the Image MASSter Solo-4 Forensic hard drive data acquisition unit, authenticates and sanitizes at SATA-3 speed (32 GB/min top capability). Write-Protected Ports: All Drive and USB ports are Write-Protected, eliminating the possibility of overwriting valuable data. 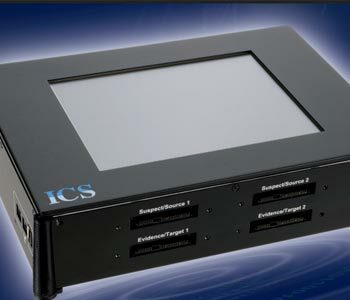 Multiple "Suspect" and "Evidence" Ports: The unit provides 4 native SATA/SAS ports for 2 Suspect and 2 Evidence drives and 4 native USB 3.0 ports. Drive Wiping: Supports single pass or full DoD drive "Sanitizing". The new Solo 5 Enterprise IT is configured with an Intel i7™ processor. The new Solo 5 Enterprise IT shares the same footprint of the successful and established IMSolo-4 G3 Slim. 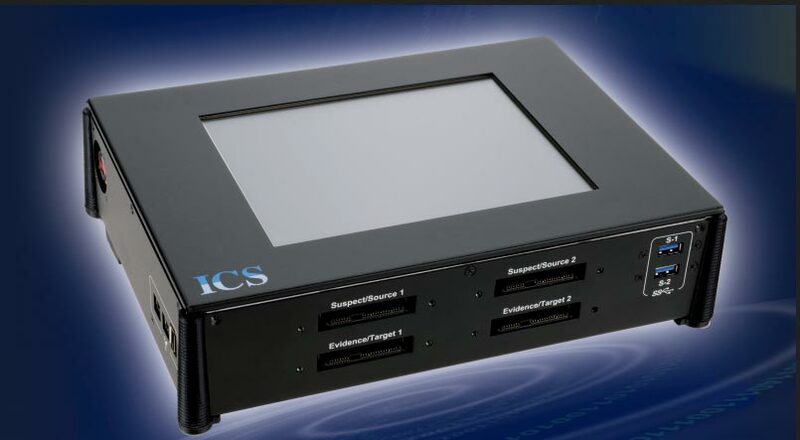 External Storage: Images can be stored externally to a Shared Network folder, PCIe M.2 drive, e-SATA drive, USB drive or an ICS DFSS External Storage Module. “On the fly” Drive Image Encryption*: Utilizing the built- in AES 256 Encryption Technology the Image MASSter™ Solo 5 Enterprise Forensic encrypts with minimal speed degradation all digital data during the Cloning Process for the purpose of safe guarding sensitive information. The Image MASSter™ Solo 5 Enterprise Forensic creates a secure key with a user-chosen pass phrase. An AES 256 encryption key is then generated by the unit and can be saved to any USB thumb drive. The encrypted drive can be decrypted on the fly utilizing the Image MASSter™ Solo 5 Enterprise Forensic or with any PC loaded with the free ICS Decryption utility and USB thumb drive containing the saved key.